Toyota Land Cruiser 78 was a 4-wheel drive sports utility vehicle designed for both off-road and on-road urban drive. It provided a pleasurable trip for a small sized family to have an amusing driving journey experience. Exterior Design was specifically built with a robust and rugged solid structure ideal for all kinds of harsh rough terrains. It was made of bigger rectangular shaped LED front headlights, front metallic horizontal bar emblem grille, front fog lights, indicator lights, front bumper, power side mirror, and alloy wheels. On the backside, it provided a nice catchy stylish glance with a high mount stop light, vertically fitted LED taillights, rear fog lights, and rear bumper. Interior Design Cabin offered a true combination of comfort and luxury for passengers with 5 seat accommodation. The seats provide ease of legroom as well as headroom capacity with a convenient journey for passengers. The rear side compartment provided widely spacious storage loading capacity with easy opening and closing tailgate. Moreover, the front side dashboard cockpit panel displayed a nice fancy look which was highly equipped with essential features such as air-conditioning, power steering, power windows, anti-lock braking system, central locking, and dual SRS airbags. It was a right-hand 3-door 4×4 SUV fitted with 4.5 litres of diesel fuel engine and a manual speed gear transmission. 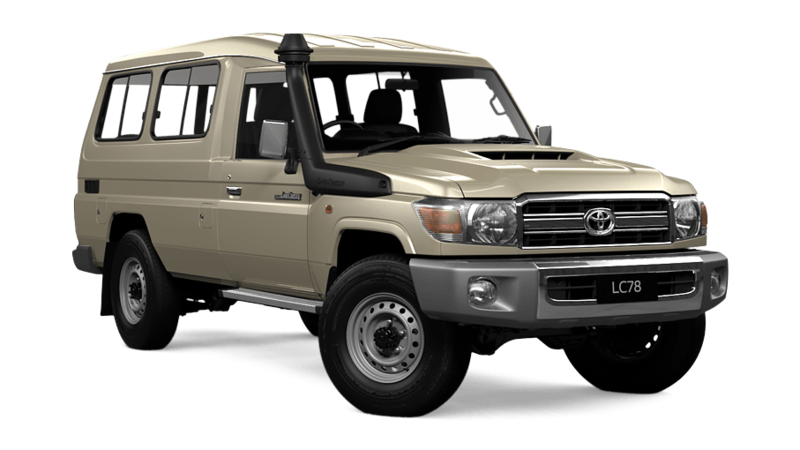 Car Junction offers Used Toyota Land Cruiser 78 for Sale at reasonable cost prices for customers in Africa, Asia, Oceania, and Caribbean Regions.